Training an aggressive dog is just the beginning. You then need to reinforce what he has learned, otherwise he can slip back quickly. Dogs have an inherent need to lead. Some want to while others could care less. 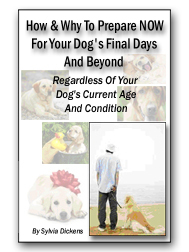 So it depends on your particular dog whether aggression and dominance is going to be a problem. You need to train him in each problem area at a time. It is impossible to stop aggressive behavior all in one go. It will happen in different areas and each one must be treated separately. What do we mean by reinforcement? Basically, it means that you can never let your dog show aggression towards you in certain situations. You will note that there are times when the aggressive behavior will be more dominant than in others. Start with the easy situations and work up to the more difficult ones. This doesn’t mean that you can let the aggression slide on some things while you train him in the easy situations. Doing so will make training that much more difficult. 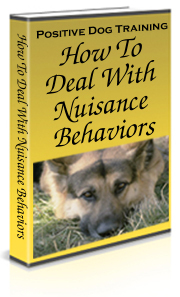 Deter the bad behavior every time it arises, but focus on less problematic behavior first to make it easy on yourself and your dog. As you accomplish your goals, move on to the next situation and put your attention on it until he gets the point. Thereafter, always remind your dog that the aggressive behavior will not be tolerated. This means constant reinforcement of the rules. If your dog is not understanding a particular lesson, go back to the basics and tell him to “sit!”, which you will have taught him previously. This puts his mind back into obeying mode. A lot is involved in stopping aggression, which is why it is easier to take it one step at a time. Seek help when necessary, and before the behavior becomes too embedded into your dog’s character. Training an aggressive dog has been directly linked to poor obedience training. Going back to basics and getting them right will help as well. This entry was posted in Dog Training and tagged dog training advice, how to train a dog, how to train your dog, training a dog, Training an aggressive dog. Bookmark the permalink.